The head of a wealthy Chinese investment group that is pouring more than $1 billion into a massive housing project on Oakland’s waterfront said he’s putting the development on a fast-track to take advantage of the city’s red-hot housing market. 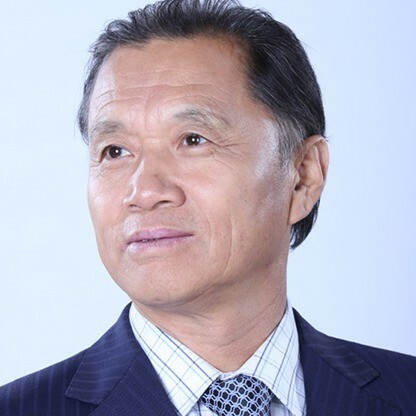 Speaking through an interpreter during an interview with reporters in Mayor Jean Quan’s office this week, Weixun Shan, chairman of Zarsion Holdings Group of China, said he wants to complete the 3,000-unit housing development near Jack London Square within three to four years. Originally, the development, known as Brooklyn Basin, was to be built over a six-to-eight year period. The first phase of the project, which will feature 1,200 units, including 400 units of affordable housing, will break ground in early March. And Shan said he wants to launch the second phase of the development before the first units become available sometime in 2015. The development, which previously had been called the Oak to Ninth Project, will include apartments and condos for a range of income levels. The news over the housing project comes at a time when Oakland desperately needs more housing — especially affordable units and homes for middle-income residents. The lack of housing has caused rents and home prices to skyrocket in the past year, as medium home prices have jumped more than 50 percent in Oakland. Shan’s Zarsion Holdings specializes in financing housing developments for middle-income people. Oakland is the company’s first major development in the United States. 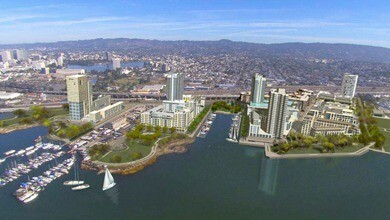 A computer-rendering of what Brooklyn Basin will look like when it's finished. Both men also estimated that the development, which already has all of the necessary city and state approvals, would create 10,000 temporary and permanent jobs. The first phase of the development will also feature ten acres of parkland. Shan said he was particularly attracted to Oakland because of its need for middle-income and affordable housing, and because he said it’s easier and cheaper to build at Oak-to-Ninth since it’s mostly open land along the Oakland Estuary and thus does not require demolition of existing buildings like other infill development. “[We] could not find a big piece of land with this price,” he said via interpreter Donna Hom, Oakland’s budget director, who is bilingual.